Vapesoon Silicone Dust Cap for Tank is made of silicone material that makes it extremely durable to use. It fits most tanks with diameter from 19mm to 25mm or mouthpieces from 7mm to 17mm. 8 colors. Vapesoon Universal Silicone Dust Cap for your Tank! Made from silicone material, making it extremely durable to use. It can be used with tanks with a diameter from 19mm to 25mm or mouthpieces from 7mm to 17mm. 8 colors available for you to choose from. • Can be used with diameter from 19mm to 25mm or mouthpieces from 7mm to 17mm. Very useful tiny thing it is, very cheap. The cap for tank is good for use, small but useful. Interesting product with extreamly cheap price. 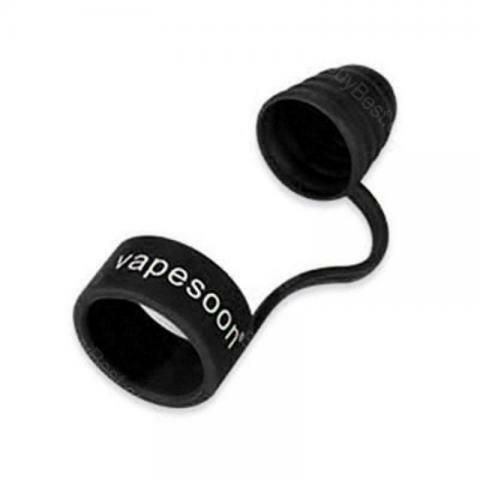 Including a vape band and a cap for your drip tip, its very useful. Not much to say, it's a protective cap for tanks.